Pammy Blogs Beauty: Guest Post today at 15 Minute Beauty! Guest Post today at 15 Minute Beauty! Be sure to head on over to 15 Minute Beauty today to check out my post! While you are there, be sure to browse Christine's blog! She is an amazing writer and a dear friend. She is not only a beauty blogger, but also a pediatric intensive care doctor. Her medical training and love of research benefits all of her readers! She has such a great understanding of the science behind beauty. Plus, she has fabulous tastes in lipstick and I <3 her! Some series that you do not want to miss on 15 Minute Beauty: Month of Red Lippies and Mommy Beauty Fast Friday, and her Pregnancy Skincare series. 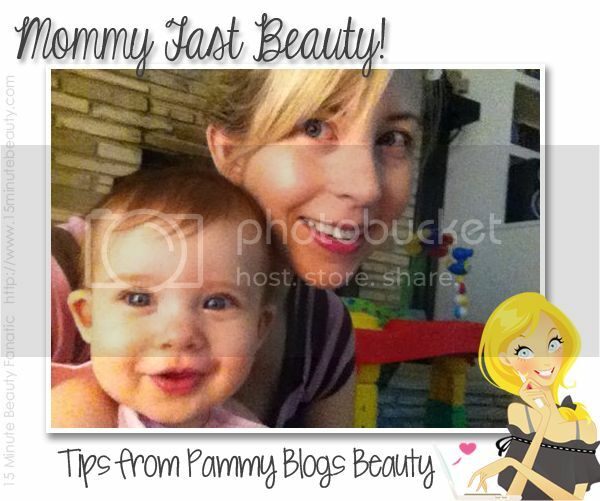 Check out my guest post here: Mommy Fast Beauty: Pammy Blogs Beauty Shares her Makeup Routine!